I want to start out first by clarifying I am not a professional tax accountant. I have one, and you should, too! Make sure all tax decisions you make are cleared through your personal tax consultant. 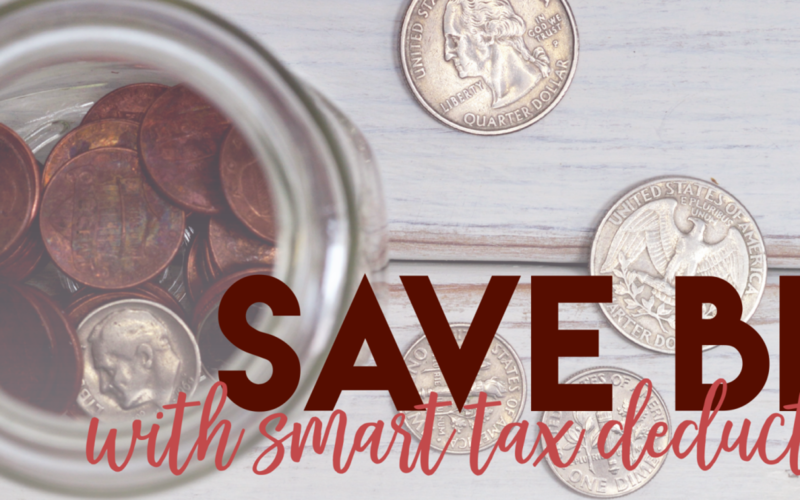 That being said, I have learned a lot about how to spend money wisely in order to actually benefit my company through tax deductions, and I’d love to cue you in on some of my write-off ideas. There are three different categories I’ll go over today: Investments, Donations, and Purchases. The IRS allows taxpayers a variety of tax deductions if the investment-related expense is related to producing taxable investment income. Expenses you may be able to write-off include investment counsel and advice fees, subscriptions to financial publications, and research used to guide investment choices. Software or online services used to manage your investments, transportation to and from broker or investment advisor office, and even safe deposit box rental fees could be deducted. Certain attorney, accounting or clerical costs needed to produce or collect taxable income can often be written off as well. I recommend taking advantage of SmartVestor, a Dave Ramsey service. Through SmartVestor, you can find nearby qualified investment professionals. It doesn’t have to be a guessing game. Through the care and advice of professionals, you’ll be making sound investments in no time. Oh, and did I mention it’s free to use? Who doesn’t love that? Before you make charitable contributions, make sure the organization is qualified through the IRS. Of course you can still make donations to any organization you find valuable, but when it comes to tax deductions, there are strict rules to follow. A good place to start would be donating to a local church who also provides community service. Along those lines, you could also contribute to Compassion, a Christian charity, where donations go toward feeding children living though the East African Drought, sponsoring children in need, disaster relief, medical assistance, educational needs, safe water and more. If you know me, you know I grew up in 4-H, which makes it an easy recommendation. 4-H is a community that provides experiences where young people learn by doing. Kids complete hands-on projects in health, science, agriculture, citizenship, and more through guidance from adult mentors. She Works His Way is a community of Christian business women who prioritize their faith, family and service – in that order. They offer business training with a Biblical foundation and community. Membership includes live classes, discounted prices on academies and one-on-ones, and community through a private social media group. Amani Baby Cottage is located in Jinja, Uganda, near the shores of Lake Victoria. During college I spent some time here, which makes ABC another easy choice to place donations. 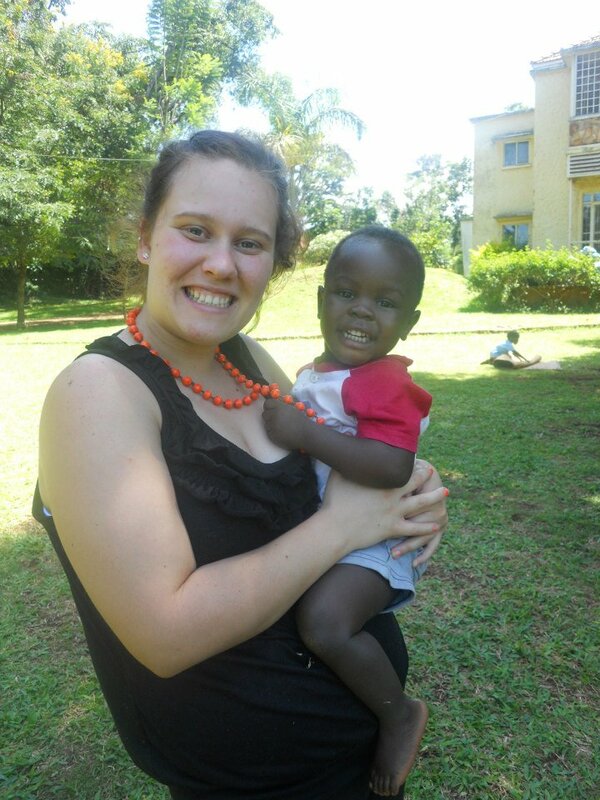 Amani Baby Cottage was established to provide care for orphaned and abandoned children from birth to 5 years old. Cultivate What Matters Powersheets is a great purchase that will help you organize and plan in fun and exciting format. The guided process has three parts: PowerSheets Prep Work, where you uncover your goals and values, Intentional Action Plans, which are step-by-step action plan pages for each of your goals, and Monthly Tending pages, which help you live out goals and action plans each month. Markings by C.R. Gibson is a leatherette ruled planner. It’s a lot simpler than the Desire Map or Cultivate What Matters formats, but it’s great for planning your daily agenda, priorities, to-do lists, notes, phone calls, and important dates. Acuity Scheduling is awesome if you have any kind of regular appointments to set up within your company. You can put in your availability and appointment length to share with your customers so they can choose what works best for them. Active Campaign is the best email platform I’ve encountered. We can schedule campaigns in advance, resend them, create activity-based automations and more. It’s easy to teach customers with its user friendly setup. If you’re growing an email list, I’d definitely consider using Active Campaign. Business Boutique Academy has training, tools, and encouragement to launch and grow your business. They offer live coaching with Christy Wright, business health checks, a video training library, a planning center, and a community. Leadpages is the program we use to host all of our landing pages, opt-ins, and lead magnets. There are tons of design options available and it hooks up perfectly with Active Campaign. It’s very user friendly and makes collecting signups easy and professional. Dropbox to manages and organizes all our information, documents, and projects. You can share folders with customers so they can upload their files and data in one central location. It’s a secure place to share information with ample space for uploading content. Rocket Lawyer is a program used to create contracts. It allows you to simply input a client’s information and you can have a contract done and sent in 15 minutes or less. Rachel McMichael is a self-proclaimed “Techspert”. She says she is obsessed with helping women create businesses they love without all of the stress. She can take care of Facebook ads, leadpages, sales funnel systems, and website tweaks. Being Boss: Take Control of Your Work + Live Life on Your Own Terms is a book co-written by Kathleen Shannon and Emily Thompson. The authors host “Being Boss”, a top-ranked podcast, and the book will come out in April of 2018, providing hard-hitting business advice along with inspiring lessons on self-care and finding balance. *Some of these mentioned write-offs can also be found on our Favorite Tools page. Like KRose Marketing & Consulting on Facebook to stay in the loop on topics like this. It’s not uncommon for conversations in the group to become future blog posts. The group is a great space for like-minded small business owners who gather together sharing their insights and concerns as they grow their companies. Grab The KRose Marketing Monthly Success Guide and get organized going into the new year.